Even the most beautiful and exotic locations can be home to the most hellish horrors on Earth. That's what a real estate team discovers the hard way when they descend into a World War II bunker in Gehenna: Where Death Lives, and with the new horror film enjoying a well-received film festival run, we caught up with director Hiroshi Katagiri and executive producer Saik Meng Kee for our latest Q&A feature to discuss funding the movie on Kickstarter, working with the legendary Lance Henriksen and Doug Jones, and a chance encounter with The Texas Chain Saw Massacre cinematographer Daniel Pearl during filming on the island of Tinian. Thanks for taking the time to answer some questions for us, Hiroshi, and congratulations on your new film, Gehenna: Where Death Lives. How and when did you come up with the idea for the movie? Hiroshi Katagiri: I came up with this idea probably about seven years before I started shooting this film. I had a limited number of cast members and tried to put them in a single location because I knew it would be a super low budget. From that limitation, I came up with idea of an American real estate crew that was stuck in a secret Japanese bunker from World War II. Gehenna was the result of a successful Kickstarter campaign that raised $239,000. What was that fundraising experience like for you? Hiroshi Katagiri: It was not as easy as many people think. I was updating SNS maybe 3 times a day during the campaign to get audience’s attention. It was pretty much full-time work for a month and half. I definitely learned so much about presentation, marketing, and negotiation, and realized that most important thing is stay positive all the time. You and cinematographer Yohei Tateishi really captured some gorgeous, tropical locations in the movie. Where did filming take place and what aesthetic elements did those environments add to the story? Hiroshi Katagiri: We shot exteriors in the island of Saipan. I wanted show as beautiful a site as possible to give contrast when they go into the bunker. After showing extremely beautiful locations, the bunker would look worse than horrible. The situation of their misery would enchant by its contrast. I was also impressed with how genuinely creepy the underground bunker scenes were. Was that a real underground location or did your production crew put it together? Hiroshi Katagiri: The bunker was build in the warehouse in Los Angeles and it was a set. The team tried so hard to make it look real as much as possible and they did a wonderful job! The great Doug Jones brought the Creepy Old Man to life with nightmarish conviction. What was it like working with Doug and how much creative input did he bring to the role? 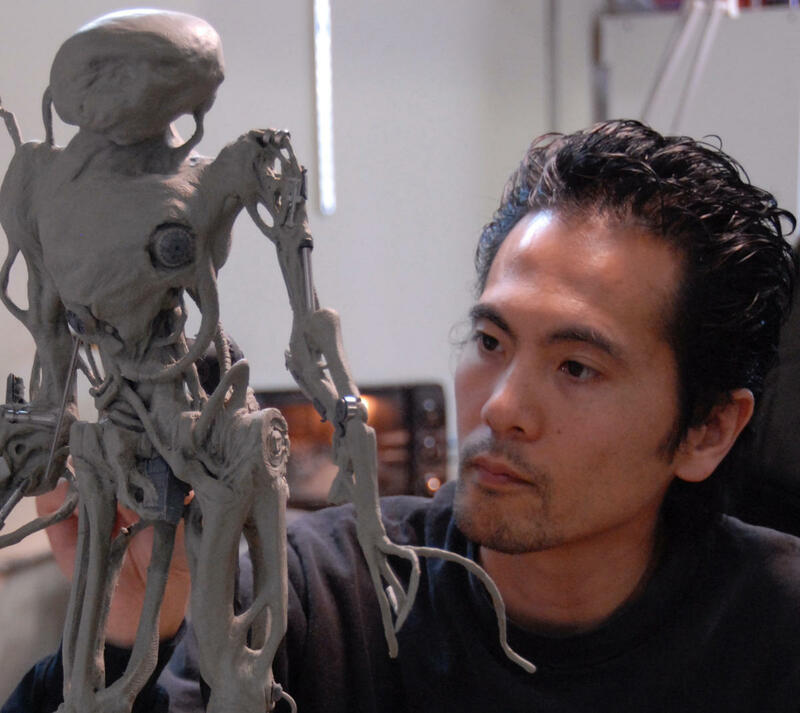 Hiroshi Katagiri: I had many experiences working with Doug Jones, as I work as an SFX makeup artist. I had opportunities to be a part of creating several characters that he has played, such as The Time Machine, Doom, Crusade, Buffy the Vampire Slayer, The X-Files, etc. He is always so patient and puts in 100% effort. His attitude was exactly the same to my film as when he works for blockbuster movies. His proportion and skinniness are always an inspiration to me and I couldn’t come up with such a design without his existence. Gehenna also co-stars the great Lance Henriksen. How important was it for you to be able to work with a legend like Lance? Hiroshi Katagiri: He is Bishop from Aliens. How could that not be important for me? It was like my dream came true! He was in James Cameron’s first directing film, too! Looking back at your time on set, is there a funny or memorable moment in particular that stands out? Hiroshi Katagiri: When we were shooting in the Japanese military headquarter building from World War II at the island of Tinian, a guy drove by, approached us, and asked what we were shooting. Soon, we found out he was Daniel Pearl. 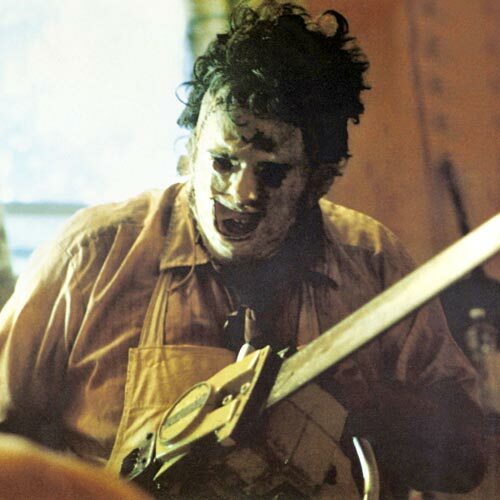 He is a legendary cinematographer and he had shot the original Texas Chain Saw Massacre and the Friday the 13th remake. Our camera assistant screamed when we found out that was him. The night before, we were just talking how amazing the cinematography of The Texas Chain Saw Massacre was! Seriously, that conversation was the night before the day we met Daniel Pearl! He visited that island to seek his father’s memory, who fought in that island during World War II. That was his first trip to Tinian and we met him by amazing coincidence because we were staying at that location only for about 40 minutes. We all felt that was a great omen. What was the most challenging or rewarding scene to shoot? Hiroshi Katagiri: The climax scene. The moment when one of the characters realize the secret of this bunker. I can’t tell you in detail, but that scene was really satisfying to me and it’s so rewarding. I love how this film has elements of both horror and humor. How important was it for you to give the audience some comedic relief with the hair-raising horror? Hiroshi Katagiri: For me, comedy and horror are same. Both are for entertaining the audience. I always love how contrasting something can enhance another element. Comedy and horror are like that. The story of Gehenna will continue in a VR game coming out this Halloween season. What can fans expect from the VR game, and do you have any plans to make another feature film in this franchise? Hiroshi Katagiri: With the film, you will experience someone else’s fear, but in the VR, you will experience fear as your experience. That should be more scary than watching the film. And, of course, I would love to make another feature in this franchise if someone could invest. As a special effects artist, you’ve worked with legends of filmmaking like Stan Winston and Steven Spielberg. What have you learned from them over the years that has influenced your approach to visual storytelling? Hiroshi Katagiri: In my eyes, they are both entertainers, always thinking of what we can do to make things more interesting and exciting. Also, they are really good at sympathizing with characters, and they design and modify as much as they can to enhance characteristics. Those are the biggest influences I had from them. With Gehenna currently screening at festivals, what projects do you have on deck that you can tease, and where can our readers find you online? Hiroshi Katagiri: For Gehenna, you can find the most updated info on the film's Facebook page. If someone personally wants to contact me, if you search my full name, you’ll find my Facebook and Twitter. Currently, I’m writing my next suspense horror script based on a Japanese mermaid legend. Hopefully it will be ready early next year. Thanks for taking the time to answer a few questions for us, Kee! 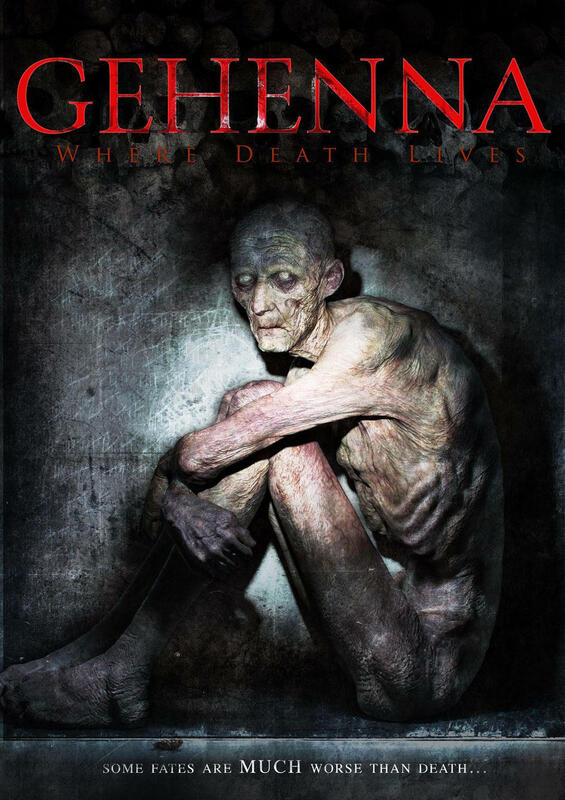 What was it about Gehenna: Where Death Lives that made you want to bring this story to life on screen? Saik Meng Kee: The first thing that caught my attention about Gehenna was the poster of The Old Man himself. It's something I've never seen before. The details, the texture, the facial expression, the mystery surrounding this tortured Old Man. When I dive deeper and discovered that Hiroshi used to create creatures for Guillermo del Toro and Steven Spielberg, that made me want to get involved with this project. When I read the script, I felt the uniqueness of the cursed cave-world and felt that this could be really immersive. In addition to great special effects work and gorgeous filming locations, the story of Gehenna will continue in a new VR game coming out this fall. As an executive producer of the film, what has it been like for you to see this movie come to life from a successful Kickstarter campaign and then go on to continue in another creative medium such as VR? Saik Meng Kee: When I first saw the first cut of the film, I just went "wow..." If we could expand this into a game, we could really build continuity into the story. And at that time, the VR goggles were just coming out into the market. After I tried a few of the VR experiences, I could see how Gehenna can be really immersive, given it's cave world, the ancient curse, the puzzling mystery, and the different dimensions. It has been really exhilarating to see the film and now to see the early screenshots of the VR game. What was your experience working with Hiroshi Katagiri, who came into this project with an established background in special effects and a passion for filmmaking? Saik Meng Kee: It has been really awesome! He is such a talented person and he has a clear vision of what he wants to do. With him, I feel that we are really building a potential franchise here. Now that he is working on the next Hellboy, this is super awesome!